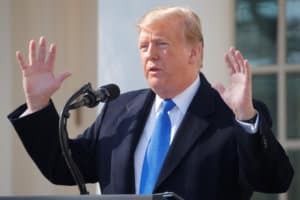 President Donald Trump has said he values his rapid-fire Twitter barrages because they allow him to speak directly to nearly 60 million followers – and his lawyers insist it is perfectly fine and legal if that conversation flows only one way when he blocks select critics. How the First Amendment applies to the accounts of elected officials, including the president’s, is an evolving area of law. But Trump’s Twitter habits on his @realDonaldTrump account already have influenced how other elected and government officials nationwide interact with constituents online. The debate about raucous social media exchanges between citizens and their government leaders is unfolding as digital spaces expand the public square. In Wisconsin, a federal judge in January said three Republican state assemblymen violated free speech protections when they barred a liberal advocacy group from replying to their Twitter feeds. The judge is still deciding whether to formally prevent the politicians from ever again blocking the group. In Missouri, a judge in February allowed a case to proceed brought by a resident who retweeted a critical comment about a state representative, who then blocked him. The case is set for trial in April. A South Carolina lawmaker agreed to unblock a student activist who last year posted disapproving comments about the lawmaker’s support for Israel and questioned the costs of his travel there. After a legal group weighed in on her side, the lawmaker tagged the student and tweeted a pointed welcome back. Looming over each of those challenges was the president’s penchant for tweeting, as judges, citizens and their attorneys brought up a federal court ruling that went against him in May and is due to be argued on appeal Tuesday. In the case, U.S. District Judge Naomi Buchwald of New York said Trump violated the First Amendment by blocking individual users critical of the president or his policies. The comments attached to Trump’s tweets are a public forum, the judge ruled, because the space is generally open to anyone without restrictions for replies and retweets. Barring certain individuals because of their views, she said, is unconstitutional. Trump unblocked the seven people behind the lawsuit and appealed. The president is entitled to block followers he “does not wish to hear,” Justice Department lawyers have said in filings. The New York ruling on the president, and a similar decision from the Richmond-based federal appeals court that said a Virginia county official’s Facebook page used for government business had to stay open to critical commenters, have “given people all over the country the ability to push back when public officials block them from these spaces on the basis of viewpoint,” said Jameel Jaffer, executive director of the Knight First Amendment Institute at Columbia University. Jaffer is scheduled to argue the case against the president on Tuesday. Justice Department lawyers say in court filings in New York that @realDonaldTrump is a personal account on a privately owned digital platform. Trump created the account before he took office, and it is subject to his control – not the control of the federal government, they argue. “To the extent that blocking prevents individuals from replying directly to his tweets, he is merely declining to listen to responses that he does not wish to hear, a choice that is constitutionally unobjectionable and that remains so regardless of the content of his tweets,” the filing states. Not so, according to lawyers for the people blocked by the president, who say Trump’s Twitter account is an extension of the presidency where Trump routinely announces government nominations, defends his policies and promotes his legislative agenda. The National Archives has said Trump’s tweets must be preserved as presidential records. The opinions of the judge in New York in Trump’s case and the Richmond, Virginia-based appeals court in the county official’s case echo in rulings over regional standoffs. A federal judge in Wisconsin in January quoted extensively from opinions in both cases when he concluded three state representatives had violated the First Amendment by blocking liberal advocacy group One Wisconsin Now. Assembly Speaker Robin Vos did not remember what prompted him to block the group, the court was told. The judge in effect said the politicians weren’t entitled to a monologue. The arguments that an individual’s social media feed on a platform owned by a private company cannot be a public forum weren’t persuasive. Eicher said the group is no longer blocked by the officials, who are represented in court by the state’s attorney general. The office did not respond to requests for comment. In South Carolina last year, state Rep. Alan Clemmons blocked graduate student Dana Al-Hasan after she criticized his travel to Israel. Clemmons, a Republican from Myrtle Beach, identifies himself on Twitter as a husband, father, Christian, Israel supporter and 2nd Amendment advocate. In his cover photo, Clemmons stands between President Trump and Israeli Prime Minister Benjamin Netanyahu. Al-Hasan, who is Palestinian, went on to criticize U.S. funding for Israel, saying the money would be better spent on health care in South Carolina. Soon after, Al-Hasan realized she could no longer reply, retweet or see Clemmons’s feed. She turned to the Palestine Legal organization for help. The letter closed by noting that pending the New York appeal, the White House had unblocked the seven people who had sued the president. Clemmons did not respond to messages seeking comment. Two days after Al-Hasan’s letter was sent, Clemmons unblocked her. He announced the decision in a tweet that tagged Al-Hasan, whose handle is @cuote32, and included a copy of the letter he had received. Next articleBook World: Every report on past presidential scandal was a warning. Why didn’t we listen?